Formula One began mandating a halo protection bar mounted on the cockpit of each car this season, and, most of the year, its ability to save a driver’s head has been hard to argue. 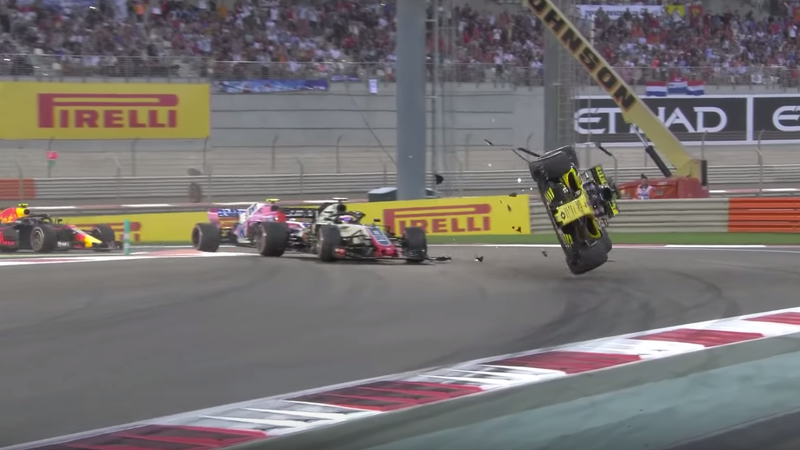 Then came Sunday’s season finale in Abu Dhabi, where Nico Hulkenberg flipped on the first lap and landed, upside down, in a barrier. Hulkenberg’s Renault race car was on fire as he hung there “like a cow,” he said over the radio. He’d just made contact with Haas driver Romain Grosjean on the opening lap of the race, barrel rolling into the outside barrier. The rolls made it look exactly like a crash the halo was meant to help prevent head injury during—at least, while the car was rolling. The criticism of the device came later. Hulkenberg radioed to get him out of the car several times as he sat suspended in it, and the safety crews did, but not quickly enough to avoid questions about whether the halo made it harder to pull him out in a safe amount of time. Nico Hulkenberg’s car sitting on a track barrier after his crash. But F1 race director Charlie Whiting said the flip flop-shaped device meant to protect drivers’ heads, not put their entire bodies in danger by causing slower response times, did no such thing. 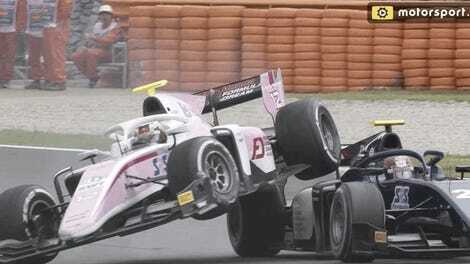 Whiting said, as quoted by Autosport, that Hulkenberg actually had more room inside of the car after the crash with the halo over it, and that the slow response time was because the safety crew knew he was alright while they were working to get him out. Whether the halo actually becomes a problem for driver extraction or not, we’ll probably have to wait and see. But if you’re expecting any swift changes to cockpit safety, remember that it took two years for F1 to mandate the halo after most drivers formally called for cockpit protection in response to head injuries and fatal crashes in open-cockpit cars at the start of 2016. Drivers wanted that head protection by 2017, and F1 ended up giving it to them a season late. That’s F1 for you, though: The race cars are fast and the adoption of cockpit protection for them is, well, a little slower.